We are all becoming shamans. A shaman merges their consciousness with other dimensions and ultimately becomes one with the consciousness of the universe. As the Divine Feminine enters our world and merges with our consciousness, a new energy is rising up within us that we must learn understand. This is the power of the shaman. The magical power of the shaman comes from their ability to move energy deep inside their own consciousness. As the shaman goes inside all forms melt into pure energy and all thoughts melt into deep feelings of how the energy of the universe moves through all living things. The power of the shaman is not easily understood. It is not a memory containing details. Our mind cannot understand what is happening. We can only feel the energy and merge with it. Understanding will come naturally as we allow this energy to move through us. The first time this happens we will feel strong emotions moving through us as the past karma is being cleared away so our ancient gifts can be revealed. This is the direct experience of how Life Force moves to create everything in this universe. It will shake our body and create disturbing emotions until all the karma has been cleared and the energy becomes pure. As we regain our memory from Lemuria, it will not come to us in form or idea. Our consciousness will simply wake up knowing how the universe moves through us. The universe will show us how to feel this energy and channel it through our heart. Some will feel the energy as healing power. 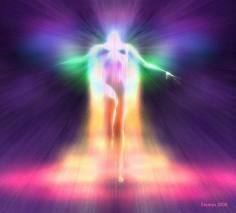 Others will feel the energy as spiritual guidance and meditation. Still others will master the energy to materialize gifts that will change the direction of all life on Earth. We can speed up this natural phenomenon by using crystal bowls and doing meditation. Process meditation is an ideal way to get in harmony with this energy without all the negative emotions interfering with our experience. I encourage all of you to learn more about this energy. Remember that even your emotions are an expression of Divine Light and Divine Love. Release them without worry and merge with the energy over and over again until you become clear. This is the return of your ancient power, a power that you will cherish for the rest of your life and enjoy the miraculous gifts that were once a normal part of your life during the ancient time of Lemuria. Relax and enjoy! Have confidence that now you are on the threshold of a great discovery! You are becoming a real shaman with all the gifts you ever dreamed of and all of your dreams will become reality.